Marchionne: "If the euro disintegrates, European car sales could fall to below 10 million" in the first year -- a 35 percent drop. It was obvious to Sergio Marchionne last summer that a day of reckoning in Europe was near. "There appears to be no immediate, obvious answer to the European conundrum," the Fiat/Chrysler CEO told reporters in August during the Management Briefing Seminars in Traverse City, Michigan. "Time is running out for all European carmakers." Last week, an avalanche of restructuring announcements showed that Marchionne seems to have the right polish on his crystal ball. Europe has run out of time. On the sidelines of an event organized by the Council for the United States and Italy last week, Marchionne, who is also head of European carmakers association ACEA, said: "If the euro disintegrates, European car sales could fall to below 10 million" units in the first year after a breakup, down from 13.6 million last year. Whether the euro will disintegrate is still unknown, but the industry is taking major steps to prepare for a financial restructuring that could rival the 2008 crisis in North America. "For the moment we are planning for the worst," Renault-Nissan CEO Carlos Ghosn said in New York last week. "And the worst is now." The European car market is heading toward its fifth year-on-year decline. Late last week ACEA reported that May auto sales in the European Union were down 8.7 percent from May 2011 -- the eighth consecutive month of year-over-year declines. Sales dropped virtually everywhere, from the usually robust German market (down 4.8 percent) to the weakening French market (down 16.2 percent) to Greece, the weakest market of all (down 47.3 percent). Five months into the year, new registrations are 7.7 percent lower than they were in the same period a year ago. Today, many of the same governments that avoided the collapse of 2008 with scrappage programs are in too much financial trouble to offer a quick fix. And many Europeans, facing uncertainty about the future of the currency and the shape of the euro zone, also aren't buying cars, Ghosn said. "My best scenario is zero to 1 percent" growth over the next three or four years, Ghosn said. "I think we're going to have some difficulty in front of us. I have absolutely no doubt that the next three, four years that Europe is going to be stagnation, at best." -- Fiat announced it is cutting investments in Europe by 500 million euros, or about $629 million, on expectations that the region's auto market won't recover in the second half. "The capital expenditure reduction is about half a billion euros from what we planned last year for 2012 in Europe," Marchionne said last week. Fiat, which owns 59 percent of Chrysler Group, has stopped additional investments and postponed the introduction of new models in Europe. -- General Motors' Opel unit said it is in negotiations with unions to keep Opel's plant in Bochum, Germany, open until GM stops making the Zafira compact minivan at the factory at the end of 2016. GM is facing 12 consecutive years of losses in Europe. At GM's annual meeting last week, CEO Dan Akerson said: "We have to fix Europe, or at least get it to where it doesn't drain the corporate coffers." GM posted a first-quarter adjusted operating loss in Europe of $256 million, and GM Europe has reported $16.4 billion in losses since 1999. -- Ford is cutting production at plants in Germany and Belgium. The move is expected to reduce Ford's second-quarter European production by 65,000 units, or about 15 percent. Ford of Europe CEO Stephen Odell has not ruled out closing factories if European car sales continue to weaken. "It is my job to be profitable at whatever level the market is at," Odell said recently. Ford hopes to contain its full-year loss in Europe to about $500 million, compared with $27 million loss in Europe last year. -- IHS Automotive analysts said overcapacity in western Europe may more than double, to 2 million vehicles in 2012. To thin the glut, there would have to be the closing of "at least one factory per volume manufacturer in Europe, which would be about five factories in total," Philippe Houchois, an analyst at UBS in London, said last week. Europe's carmakers have closed just two plants in the past four years: a GM plant in Brussels and a Fiat factory in Sicily. Some automakers are asking for a new round of scrappage incentives to smooth falling demand. When the downturn began in late 2008, many European countries protected their struggling national automakers by offering cash incentives to those who trade in aged vehicles. 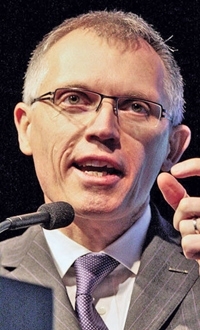 Renault COO Carlos Tavares would welcome a renewal of scrappage bonuses. France is considering giving financial support to the car industry, France's Industry Minister Arnaud Montebourg said last week in a response to a call for aid from Renault. The automaker would welcome a renewal of the scrappage bonuses paid to consumers who trade in old vehicles for new ones, "or any other support measure that boosts demand," Renault COO Carlos Tavares said. Analysts say Italy is headed toward a 20-plus percent decline this year, to 1.4 million sales, a level not seen in 33 years. The Italian dealer association Federauto believes the only way to revive new-car sales is with a new round of incentives. But then that points right back to Marchionne's statements from last summer. 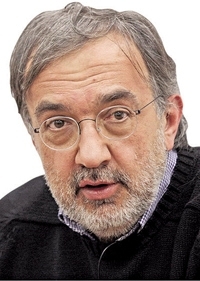 Country-by-country bailouts are just part of a broader failure by European industry and political leaders to take advantage of the crisis to deal with deep structural problems in the automotive industry, Marchionne said. Late last week Marchionne said European carmaker CEOs meeting in Madrid haven't made any progress on a common plan to address the region's overcapacity. "I think my proposal will just remain a Marchionne idea," he said. "If there's no coordination by the European Union," he said, every carmaker in Europe will "do it by itself."